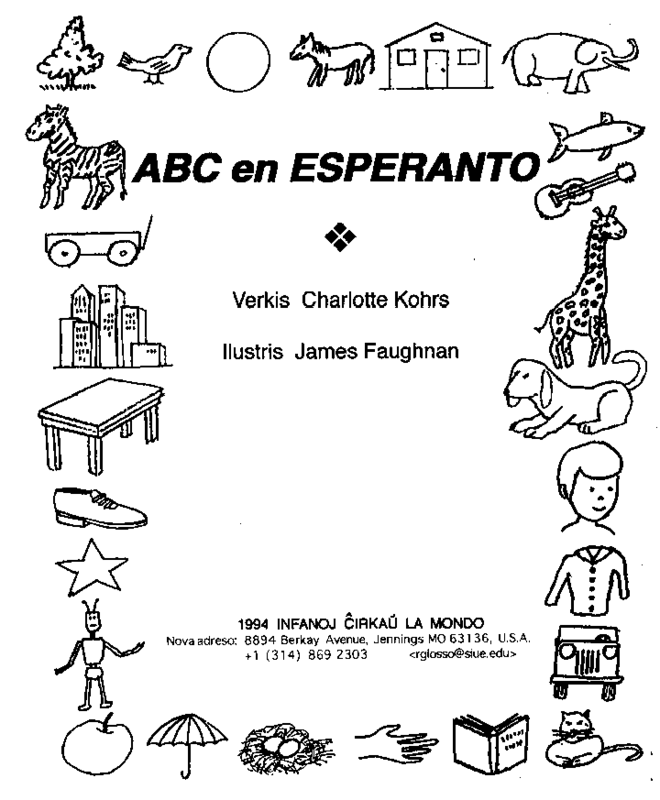 Jennings MO 63136, U. S. A.
ABC en ESPERANTO is a coloring book. 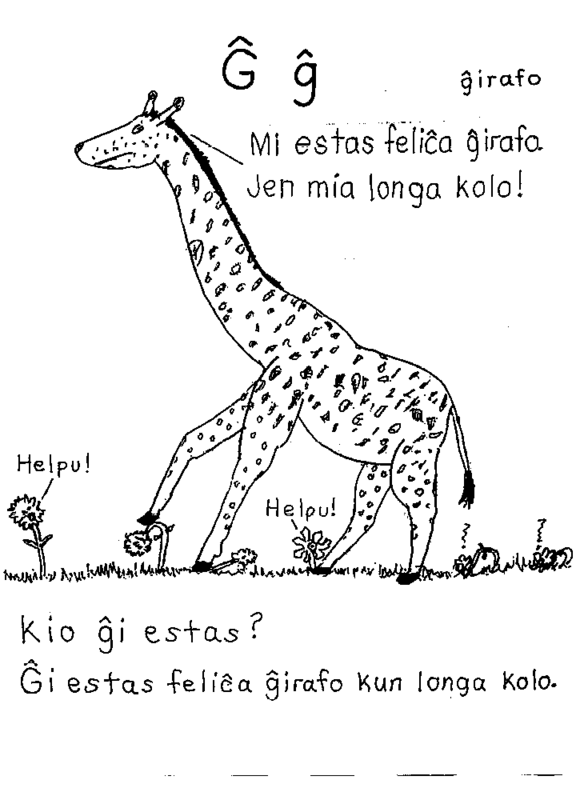 It enables Home Schooling parents and other teachers who lack foreign language training to start teaching a second language to their children. 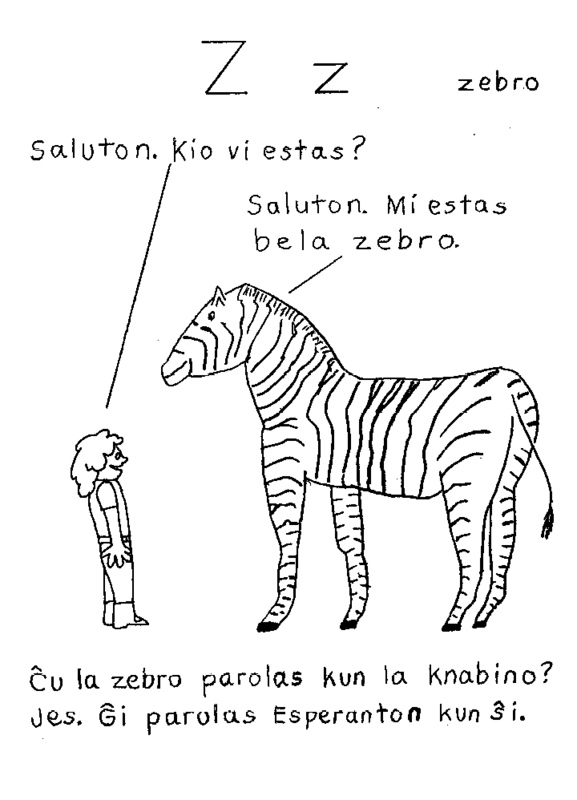 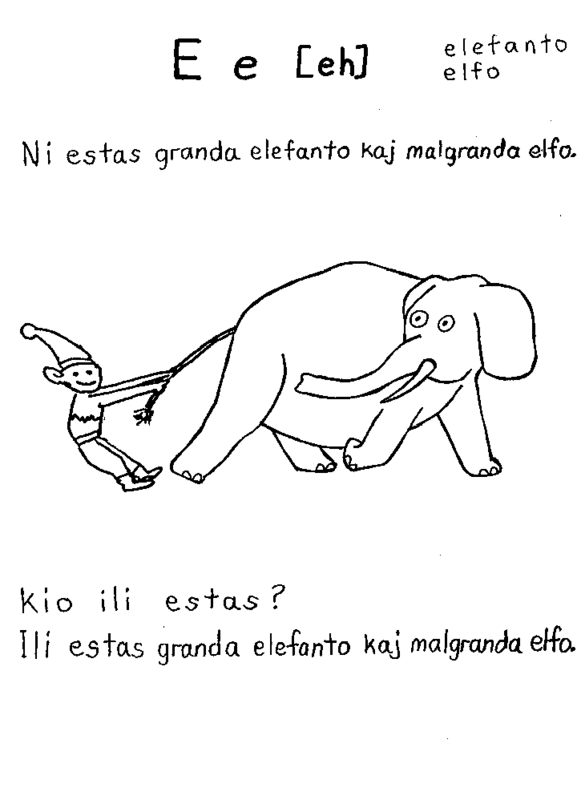 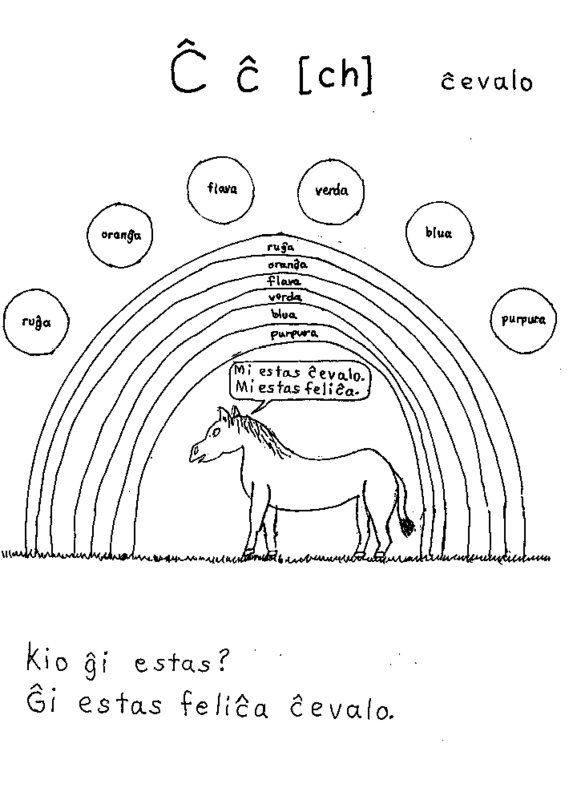 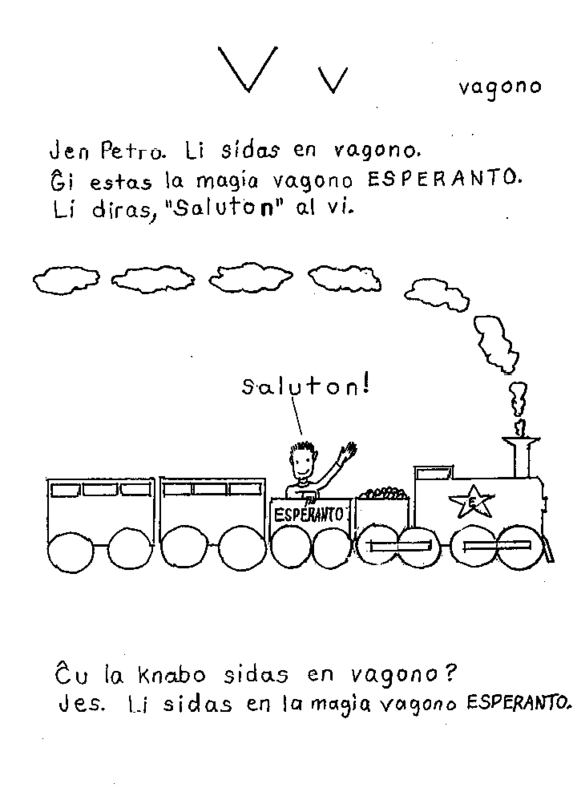 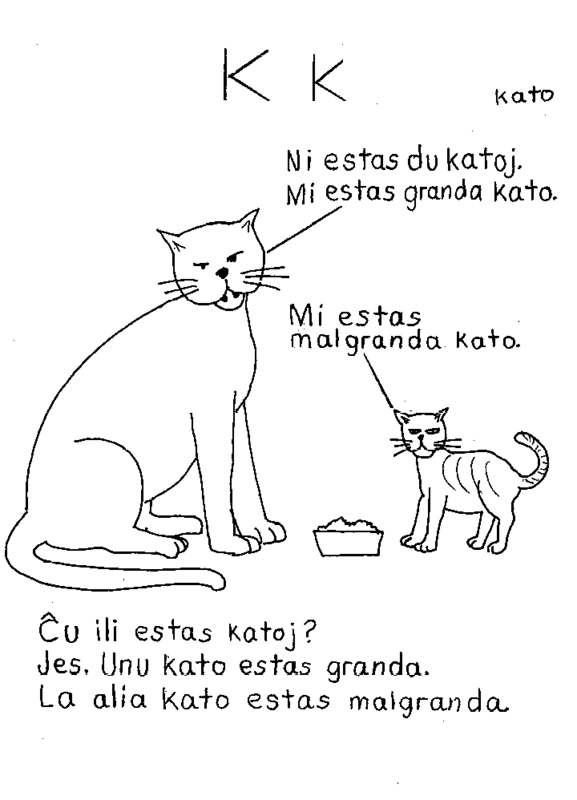 The absence of irregularities in Esperanto permits it to be learned much more rapidly than other languages. 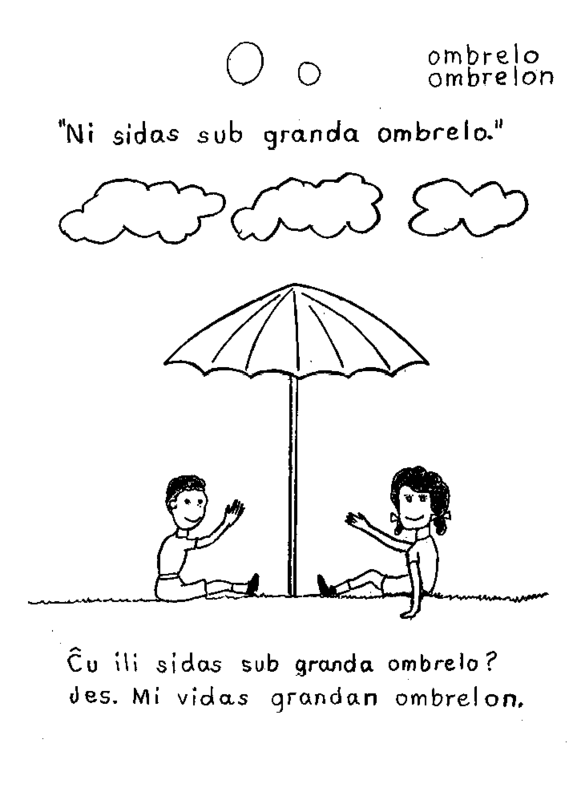 STEP by STEP, through pictures, short conversational sentences, and questions about the pictures, the child learns to read and speak Esperanto correctly using a limited vocabulary and basic grammar. 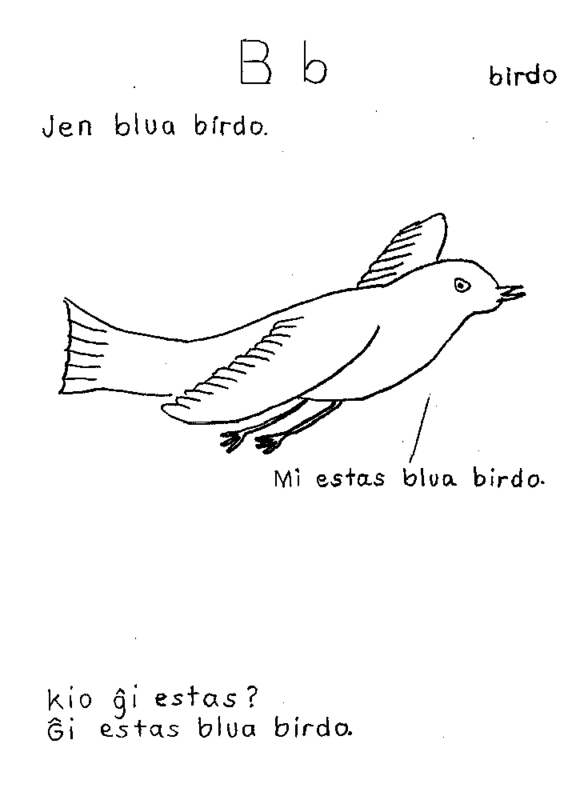 STEP ONE: Children say the names of the pictures they color. 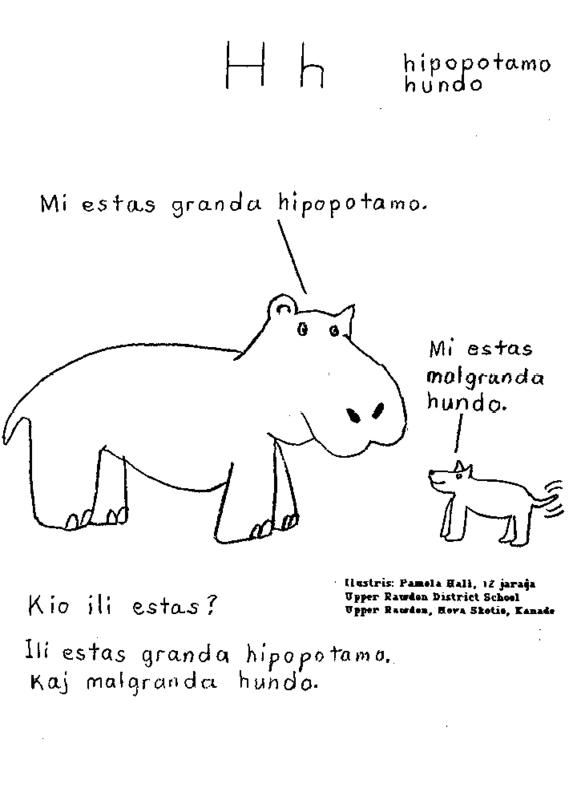 Older children especially enjoy learning to pronounce words they recognize, such as birdo, elefanto, hipopotamo [hee-poh-poh-TAH-mo], fiŝo [FEE-shoh], kato, roboto, and zebro. 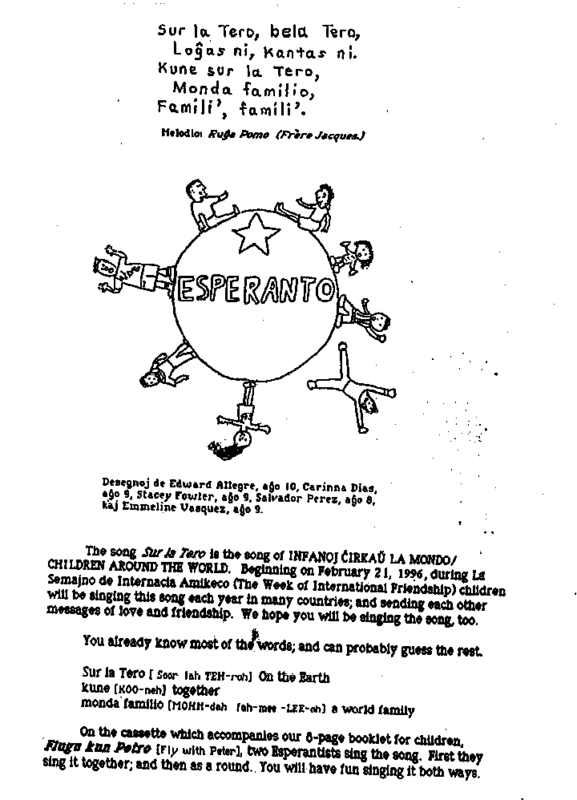 Later, they love to test themselves by reading the picture word alphabet on the cover -- beginning at the top left hand corner. 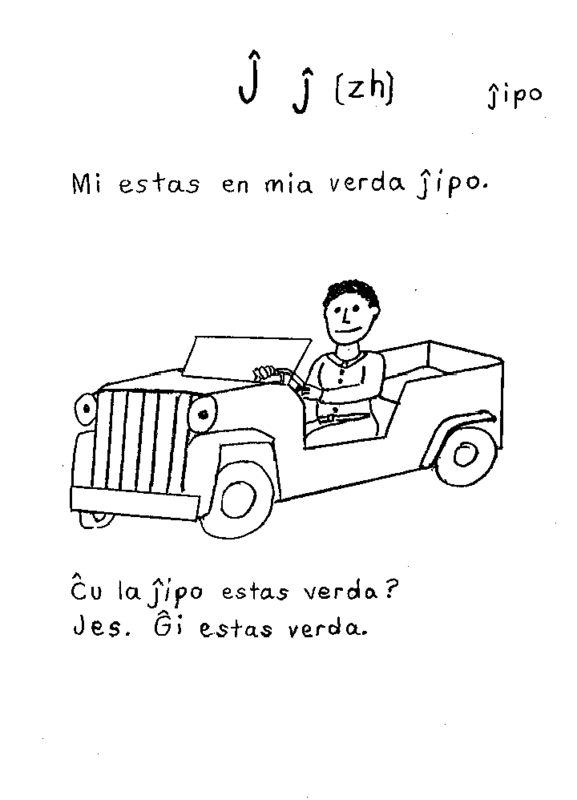 STEP TWO: They read along with the teacher the sentences on the page; then practice saying the sentences without help. 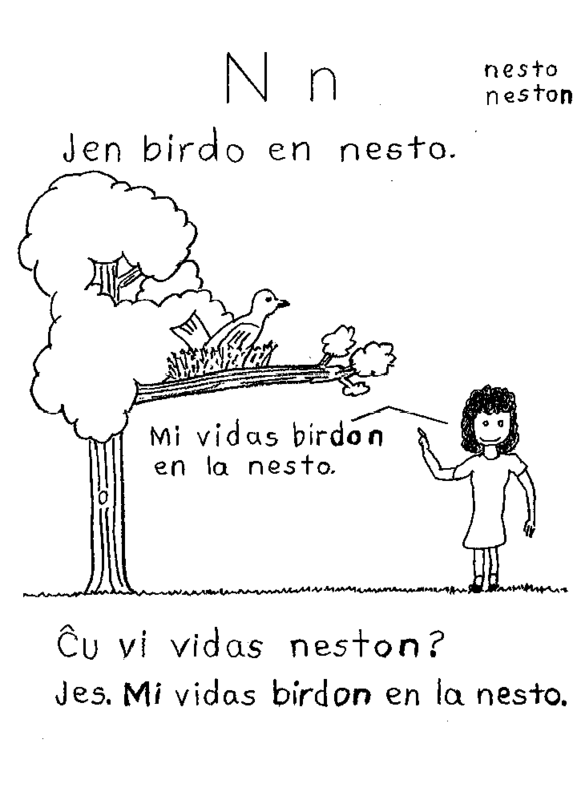 STEP THREE: They read with the teacher the questions and answers at the bottom of each page. 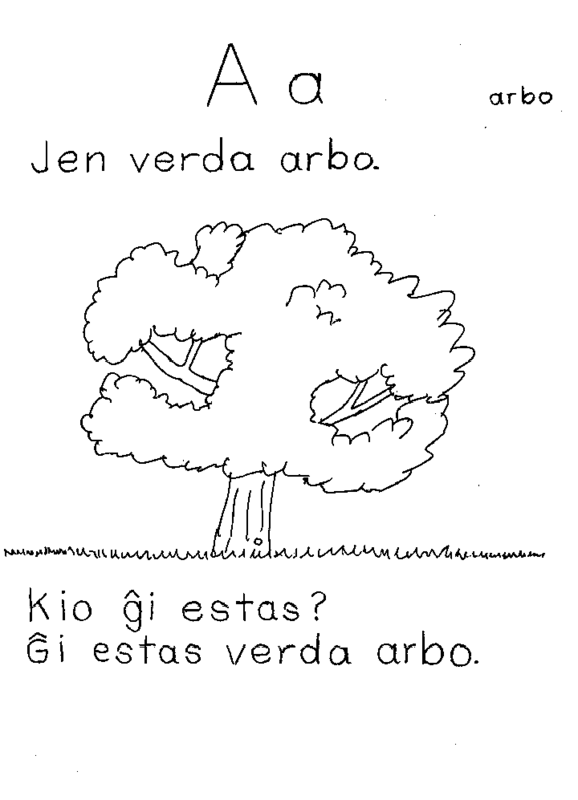 When able to read and answer the questions easily, they are eager to ask others to answer the questions. 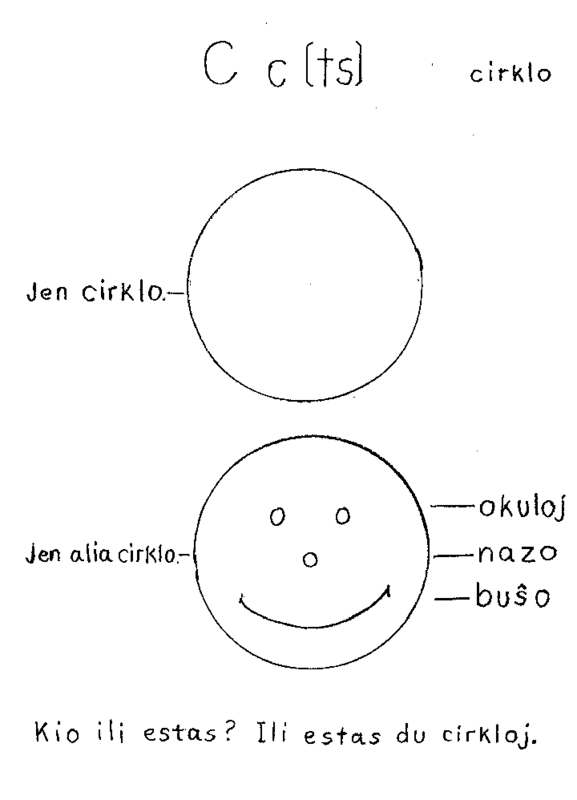 From the beginning the book is FUN. 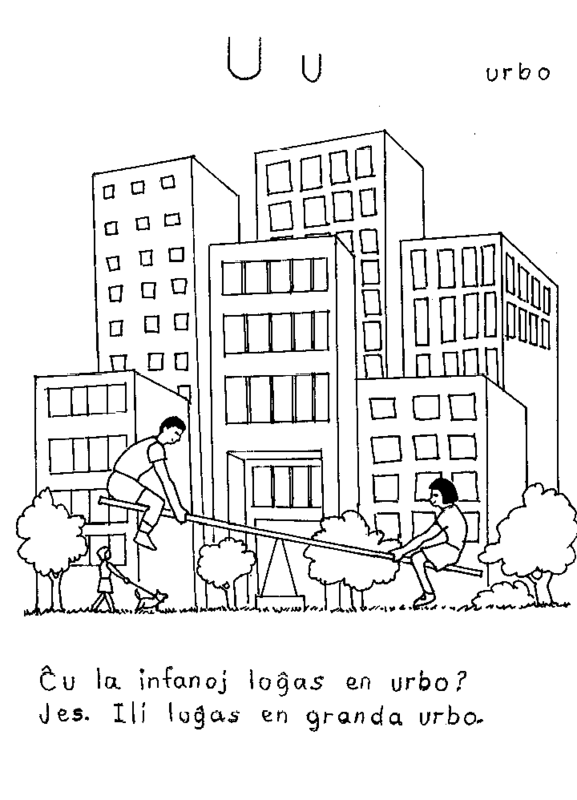 Children achieve success easily because the meanings of most of the words are obvious from pictures and context. 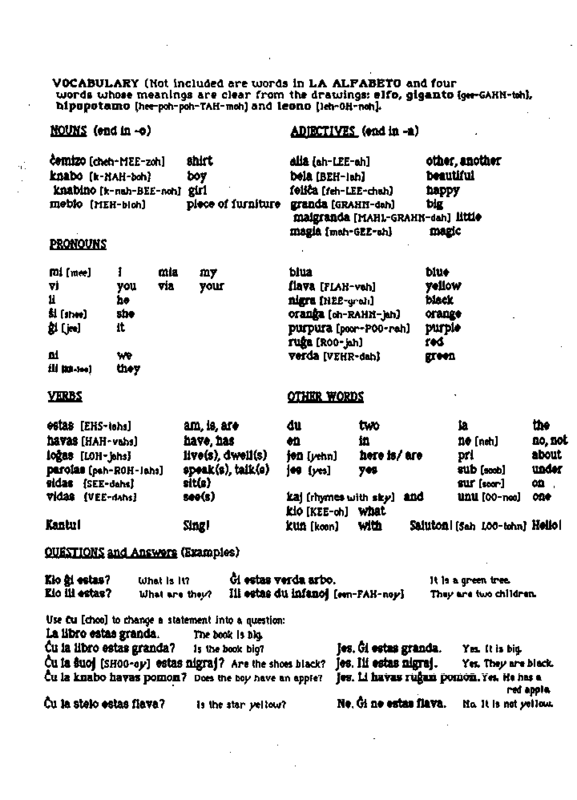 At the same time they effortlessly use pronouns and the present tense of verbs. 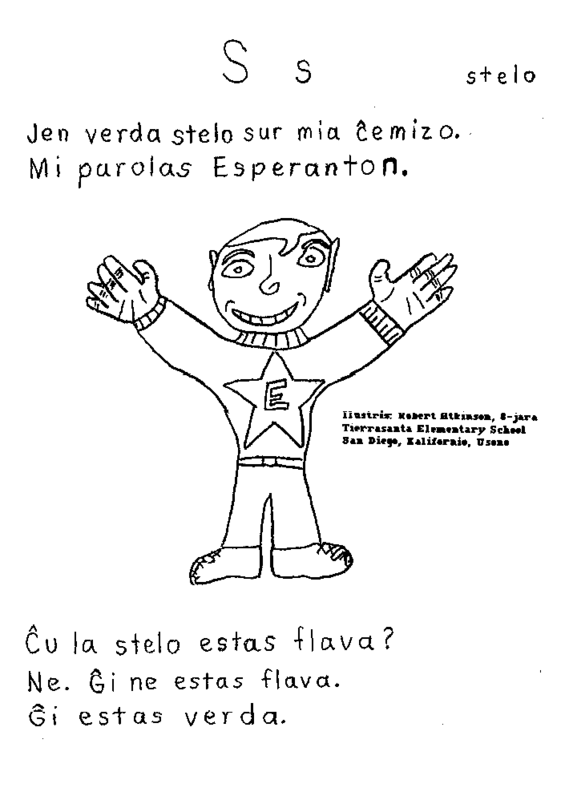 The book fits right in with the goals of our international club, LA MONDA STELARO: It encourages children to use Esperanto by asking and answering questions; and to introduce Esperanto to others with attractive teaching materials which they have helped create. 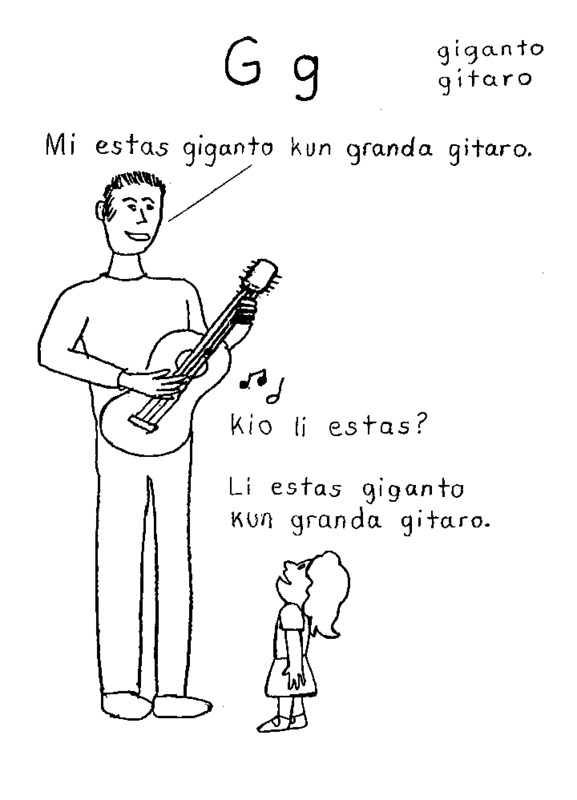 It also helps them experience the glow of showing off their skills to parents, grandparents, friends and younger siblings. 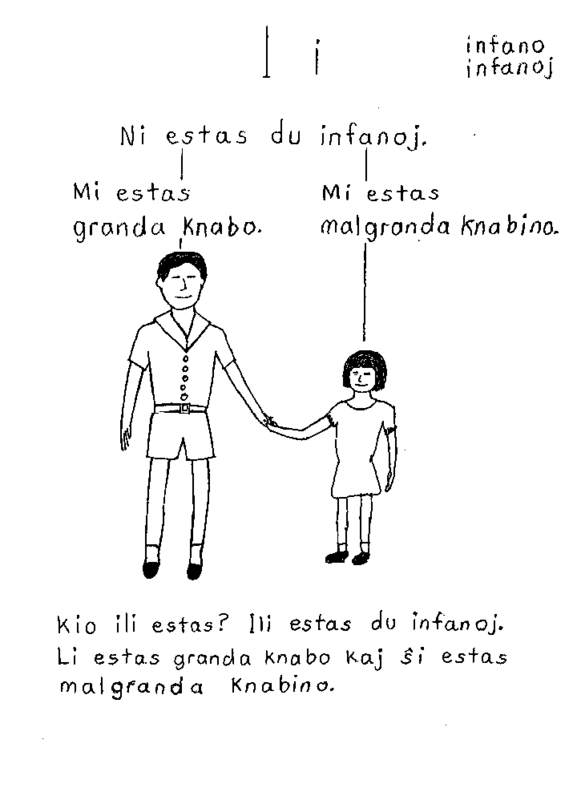 The book also helps teachers, relatives, older siblings and babysitters enjoy Esperanto through discovering that they too can READ it. 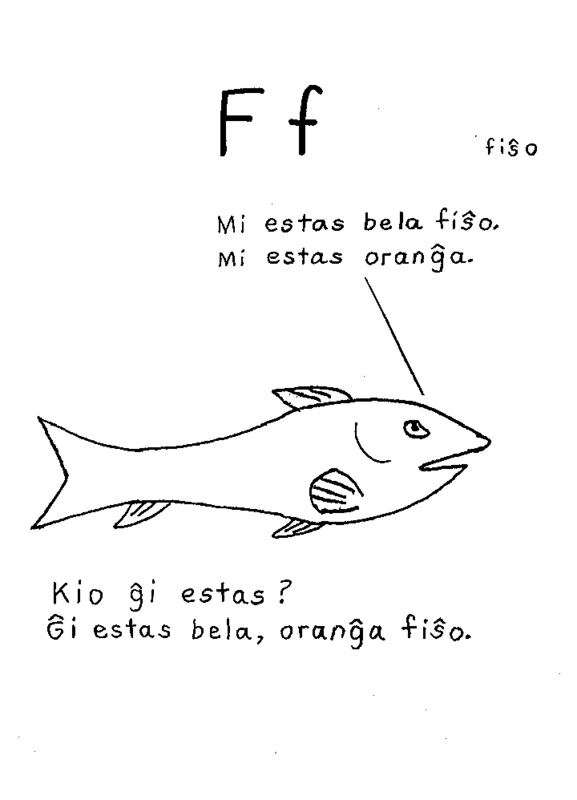 (It's such an exciting, satisfying language -- "five times as easy as English.") 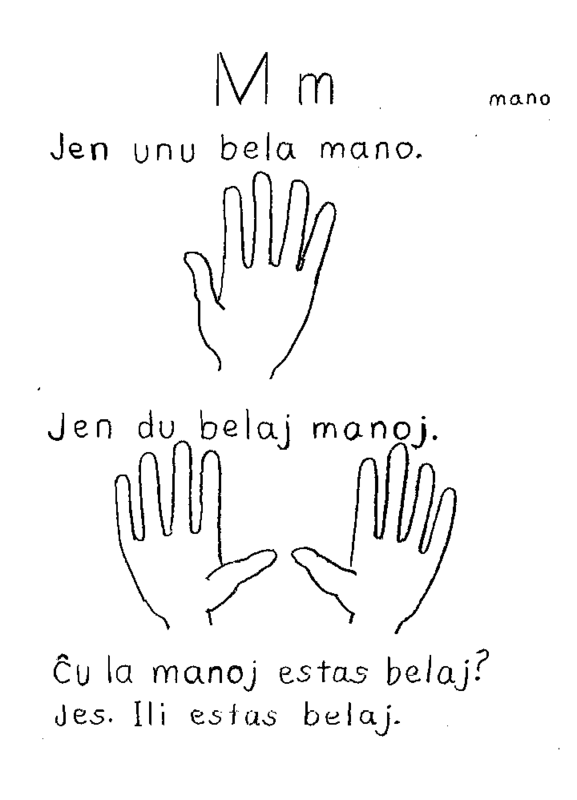 In LA ALFABETO and at the end of the book we give the pronunciation and meanings of basic words; and, at the end, examples of the short questions and answers. 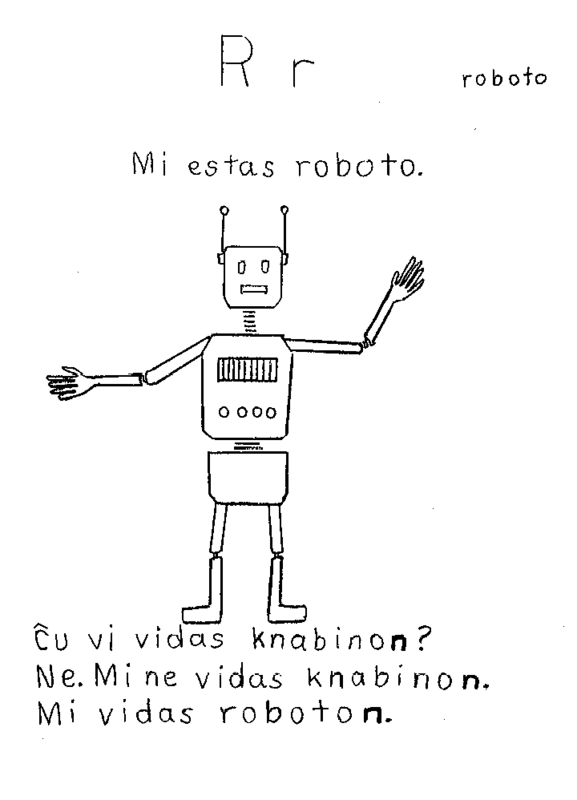 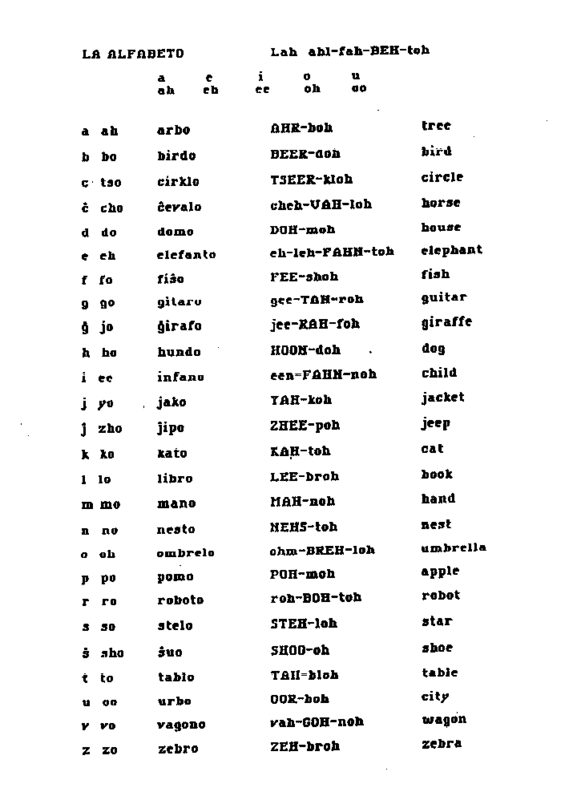 LA ALFABETO does not include the Esperanto letters ĥ and ŭ because very few words begin with these letters. 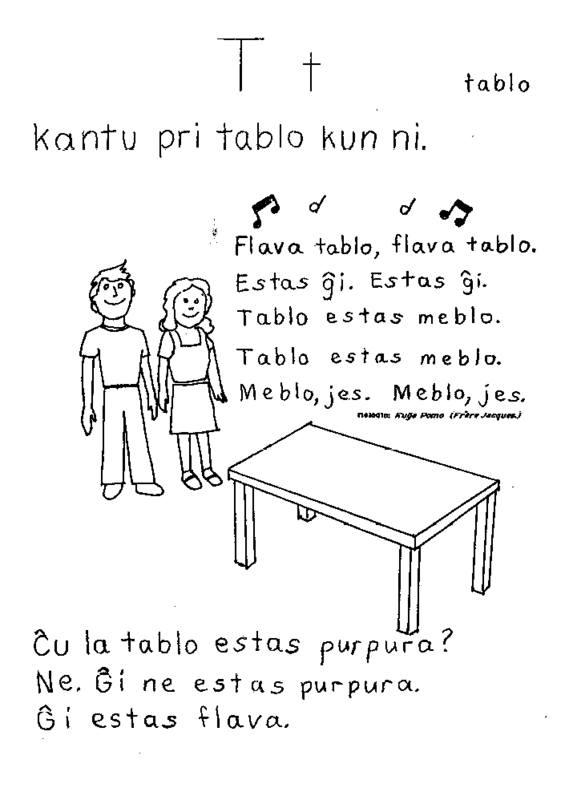 On Side B of the cassette which accompanies our 8-page booklet for children, Flugu kun PETRO, an expert Esperantist pronounces the A, B, C, words for you.